Did National Economic Council Director Larry Kudlow just suggest the formation of the North-American-Dollar bloc? 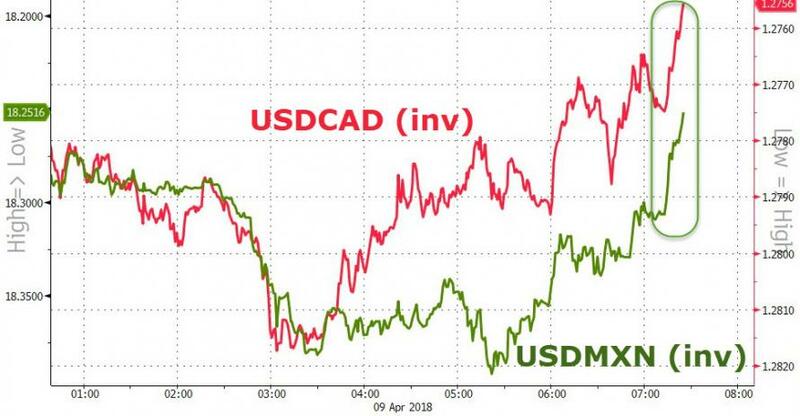 The Mexican Peso and Canadian Dollar just legged higher after comments by Larry Kudlow that "there should be more North American currency coordination." The 'Noro' - North American Euro? The 'Nambi' - North American Buying Index? The 'Naccurred" - North American Combined Currency Denomination? Or more simply - 'The Trump'.